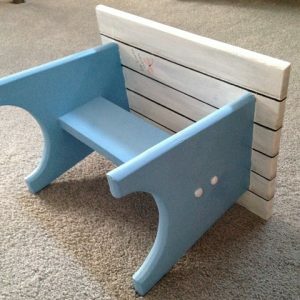 This little footstool was commissioned as a companion piece to the Garden Fence Chest of Drawers. 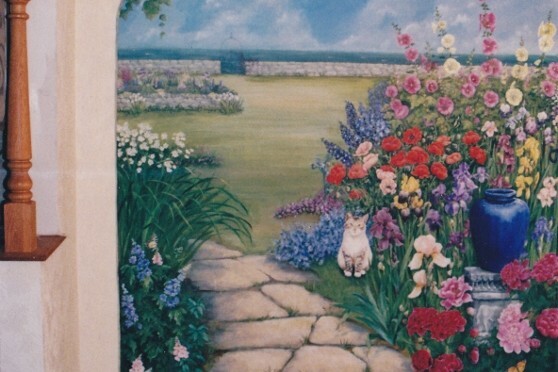 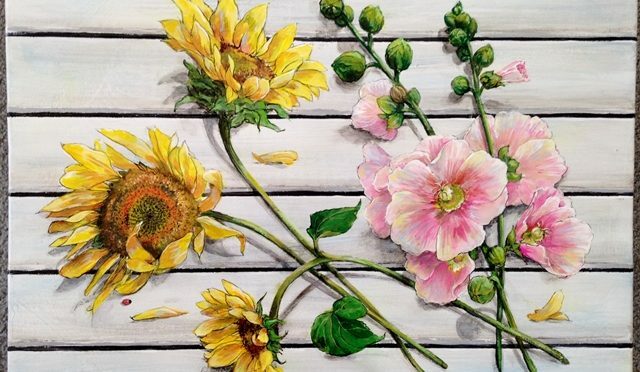 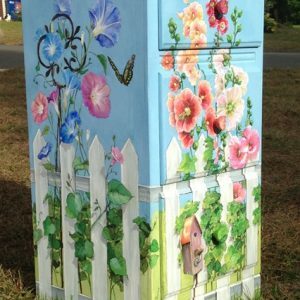 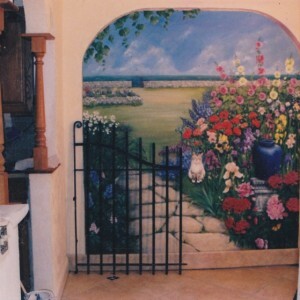 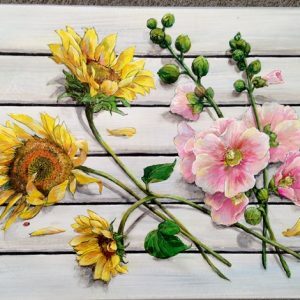 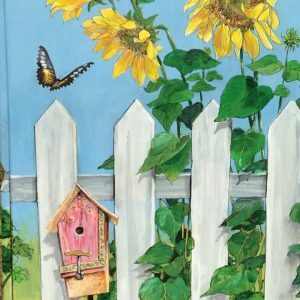 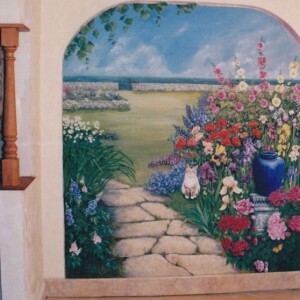 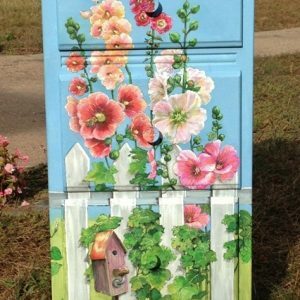 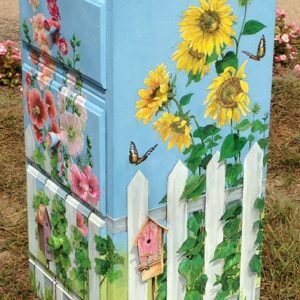 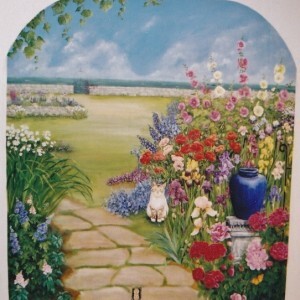 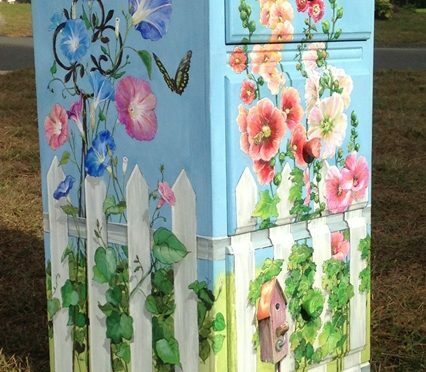 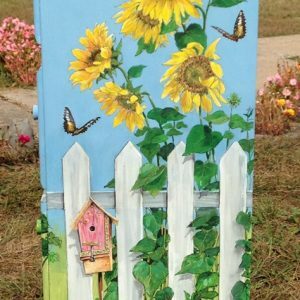 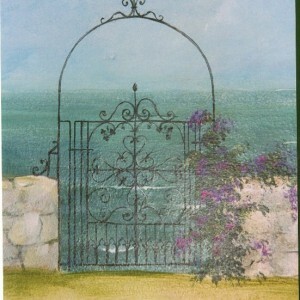 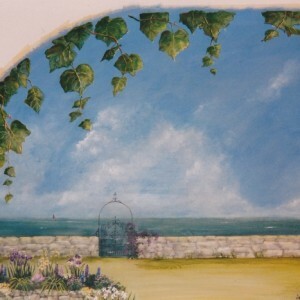 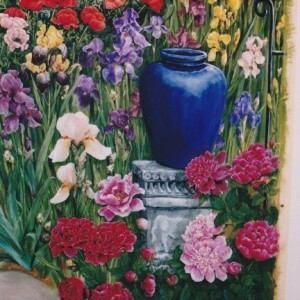 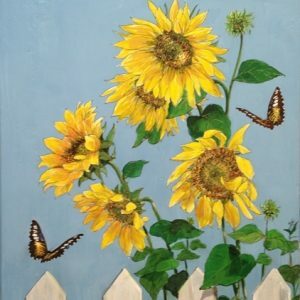 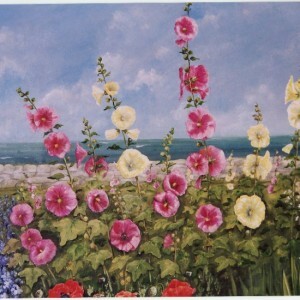 The Sunflowers and Hollyhocks are painted in the trompe l’oeil style of realism. 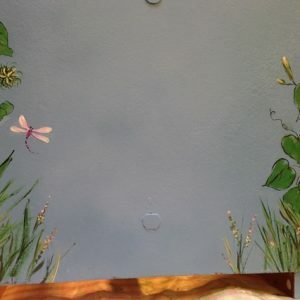 They just pop off the surface! 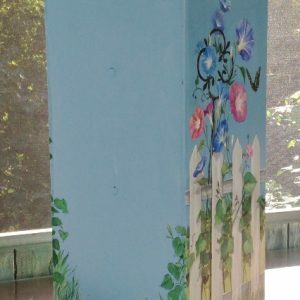 The legs of the stool are the same blue as the sky in the first piece and the faux white slats match those I painted on the top of the chest. 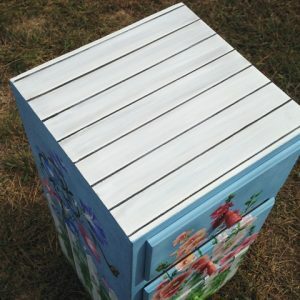 Even the underside continues the illusion of slats. 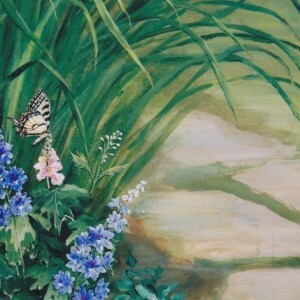 And, yes, I painted my signature insect; Can you see the lady bug? 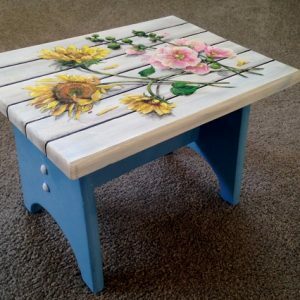 It is important that the little side buttons are painted white as they visually connect the top to the base, but I resisted the urge to painted anything additional on the blue surfaces because the stool told me No!! 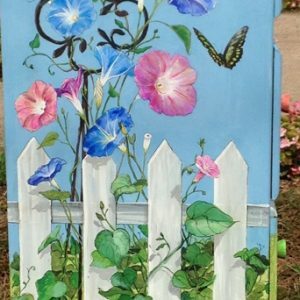 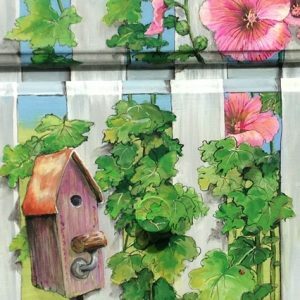 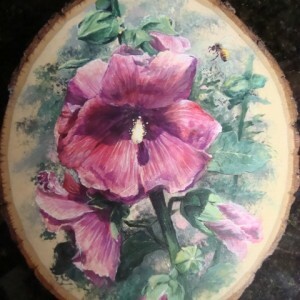 Old fashioned Hollyhocks are one of my favorite flowers but I can never seem to get them to establish themselves in my garden, so instead I painted one!! 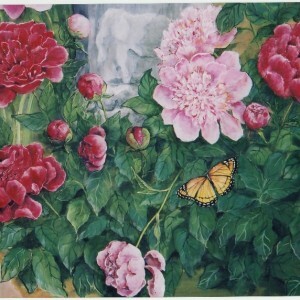 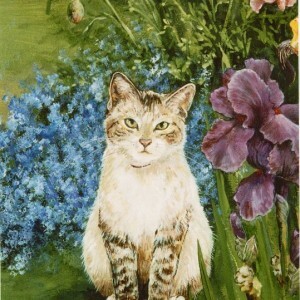 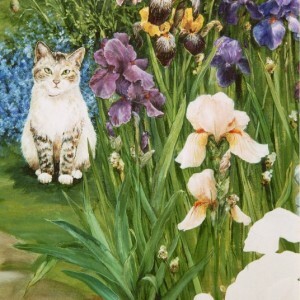 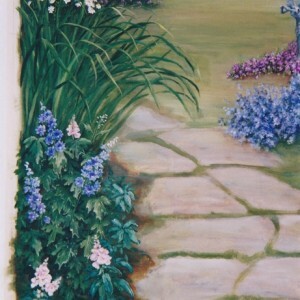 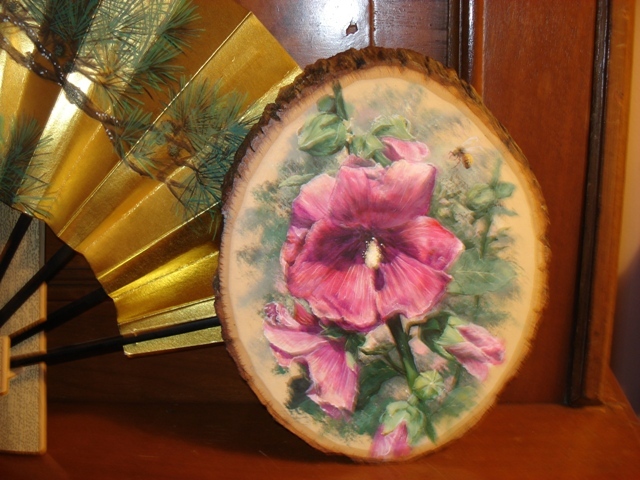 Painted in a hyper-realistic style, with sharp shadows, this flower seems to jump off the background. 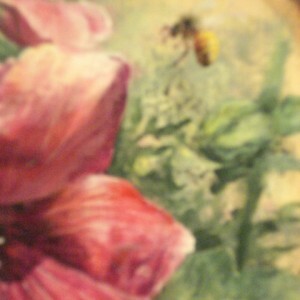 A bee hovers near by. 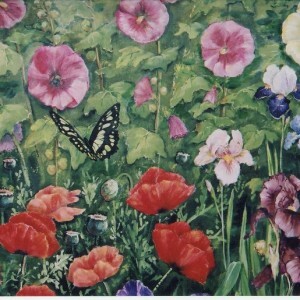 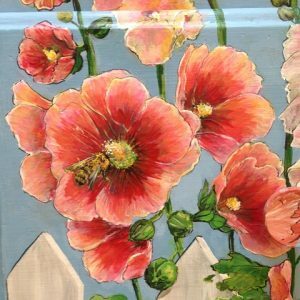 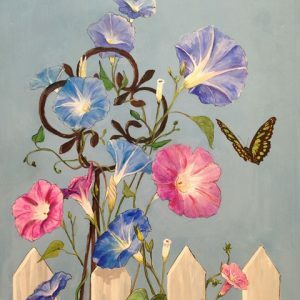 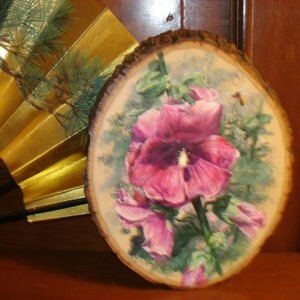 This Hollyhock is painted on a slice of wood about eight inches tall.